Develops software designed to provide an easy way to manage, allocate, and track sport and event tickets on any connected device. Provides real-time corporate ticket and event management to large companies and is the exclusive partner of over 60 professional teams. We sell a product that customers absolutely depend upon. One of the reasons they choose us is because they see real passion, intelligence, and enthusiasm reflected in all of our employees—from the salesperson who first introduces our products to the customer success manager who helps them get up & running, from the team member who fulfills their ticket order to the developer who makes our system rock-solid. We pay a tremendous amount of attention to each candidate, making sure they will be a great fit for our fun, fast-paced culture. Once someone joins InviteManager, we continue to invest in them and develop them into the kind of person they want to become. We’re always recognizing team members for their outstanding achievements and encouraging them to accomplish things they never thought possible. And we’re a fun place to work! Whether it’s happy hour or hitting the gym, you can always find InviteManagers hanging out together in their free time. You can’t fake that kind of camaraderie, and it shows in the way we work together on behalf of our customers. 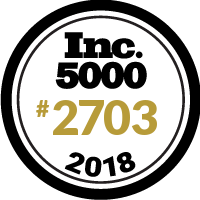 TicketManager is proud to be on the Inc 5000 list for the 4th yr in a row. A well deserved honor for our amazing teammates!! !